Once Danica Patrick departs, who will be next female NASCAR driver? After Danica's departure, who's got next in NASCAR? 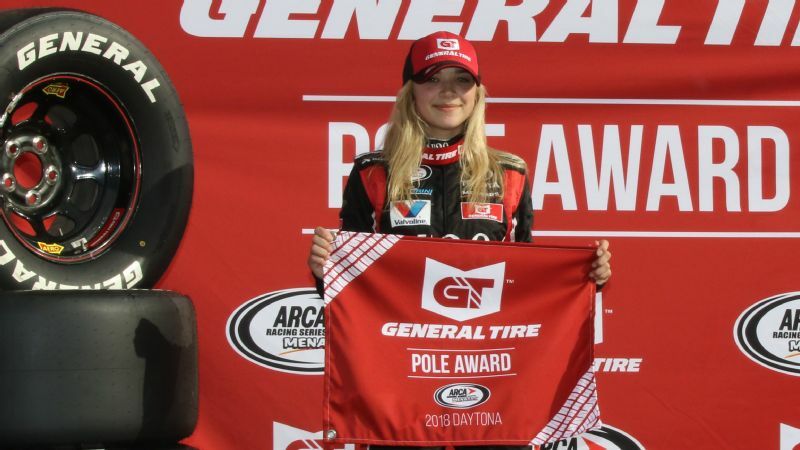 Natalie Decker won the ARCA pole and finished fifth in the race at Daytona, but that's not an automatic ticket to NASCAR. 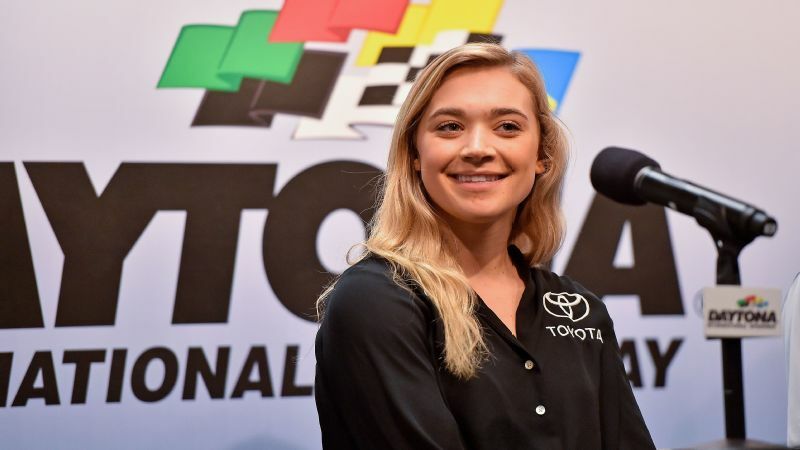 DAYTONA BEACH, Fla. -- Natalie Decker can see the door of opportunity swing wide open as NASCAR desperately seeks strong, female, full-time drivers. She believes plenty of women could follow her through the door. The 20-year-old Decker won the pole and finished fifth in the ARCA race last week at Daytona International Speedway. An ARCA rookie with a full-season ride in 2018, Decker likes to think women will start flowing into the NASCAR elite ranks. 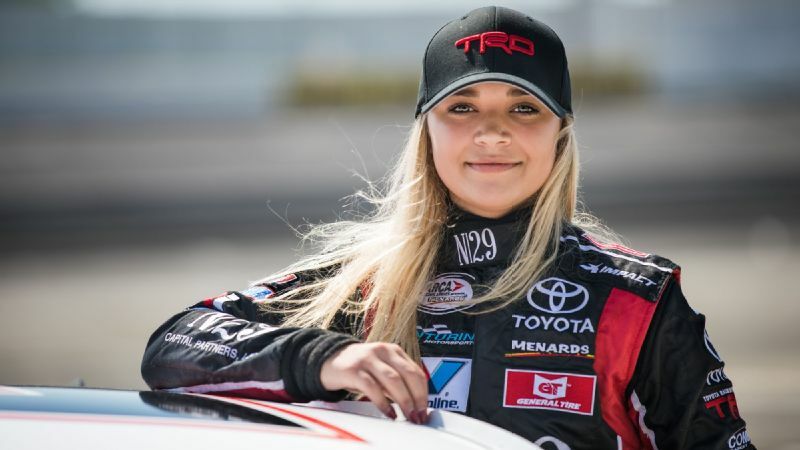 "There are so many younger girls that are fast, and they are 10 years old, 12 years old and they're racing everything and anything -- dirt cars, go-karts, full-sized cars already, and they're coming up," Decker said. "They're going to be here faster than we know it." But those with a sense of history know it's not so simple. It is a good theory, but one people have been saying since, well, Erin Crocker Evernham was sitting on the pole for the ARCA race at Daytona in 2007, part of a three-year stretch in which she posted 12 top-5s in 25 ARCA starts. Or when Kelley Earnhardt Miller was racing late models in the late 1990s and people believed she would be the child of Dale Earnhardt who would achieve the most racing success. Hailie Deegan, an off-road champion, is the only female in NASCAR's K&N series, a program for potential stars. With Danica Patrick retiring, NASCAR has no female drivers ready to step in and compete. Decker might be the closest. 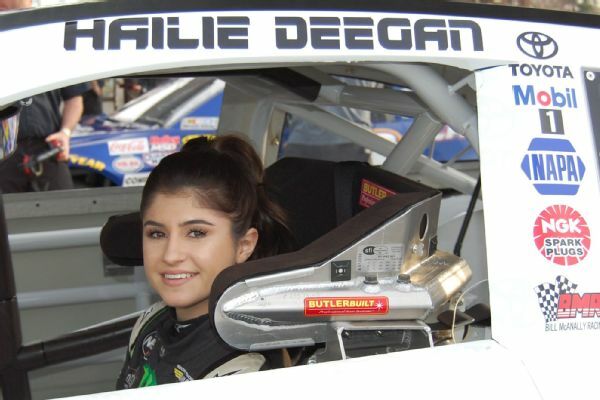 NASCAR's program for potential stars, the K&N Pro Series, includes just one female -- 16-year-old Hailie Deegan, daughter of extreme motorcycle athlete Brian Deegan who made her K&N East debut last week and has very limited stock-car experience. "Do I think there's probably one coming up through the ranks? Sure," Crocker Evernham said. "I think there's going to be another Danica or whoever their name might be. I hope to see it soon." She then paused. "I hope it's in my lifetime. It's not an easy feat. The higher you go, the harder it gets. Look at Danica." There are some female drivers competing in sprint cars who could make a serious run at NASCAR if they decide that is the route they want to go. Courtney Crone, who turns 17 in a couple weeks, and 21-year-old Holly Shelton are among those who have been turning heads. Earnhardt Miller remembers how there would be two or three females at every track she raced. She thinks women might have a better chance to succeed now than they did nearly 20 years ago. "There is a difference in the sense there is more support at the top levels for females to come in," said Earnhardt Miller, co-owner of JR Motorsports, which operates late model and Xfinity Series teams. "There's more open minds. There really wasn't when I raced late models." That is a little surprising to hear because Patty Moise and Shawna Robinson were driving in the Xfinity Series and some Cup races around that time. They supposedly were paving the way. "We were looked down very negatively on the opportunity to do that," Earnhardt Miller said. "It is more of equal opportunity [now], I guess I would say, to be in those ranks. It's looked upon more favorably. They're treated more favorably and respected. But it's still very tough to get there." There have been 16 women to compete in the NASCAR Cup Series. The first: Louise Smith in 1949. None has won a race, and only Patrick was a full-time driver. Patrick sounds skeptical that she has had a direct, immediate impact on whether the future will have a winning female racer in NASCAR. "When was the first woman in NASCAR? The '50s? So, it's been 68 years," Patrick said. "It depends on if they are interested in racing and if they want to come through. I think that if there is one difference that I feel is that you have to get a team behind you, but to believe in you, and maybe it's a little harder because women have not proved themselves as much as men. But every driver has to prove themselves to their team." Decker had a female teammate in Leilani Munter, a 41-year-old who has dabbled in ARCA and once was part of promotions with Patrick when she competed in IndyLights in 2007. Munter and Decker were the only female drivers in the ARCA race at Daytona. Shawna Robinson is just one of three women -- Janet Guthrie and Danica Patrick are the others -- to race in the Daytona 500. "It does feel like there are more [female drivers] on the lower levels, but it's so hard to make it to the upper levels," said Munter, who finished eighth at Daytona and has an eight-race deal for 2018. "I hope it gets easier, and I hope there is more that make it to the top." Like any driver, it takes sponsorship, which is hard to find. JR Motorsports had searched for sponsorship for Johanna Long, who in 2010 won the prestigious Snowball Derby late model race and competed in the Xfinity Series in 2012 and 2013. Long, who had a company working to find sponsorship for her, couldn't land that pivotal deal. "I just feel like it's a risk for a company to get behind a female," Crocker Evernham said. "There's not one female that's really proven, other than Danica to an extent, that they could be successful at the top level. There's a lot of risk involved. "There's some new sponsors coming into the sport, but there's not a whole lot right now. One of the issues is the risk involved of getting behind a female. There's no proven track record." It might be no more evident than looking at a racing couple: Daniel Hemric, who now competes in the Xfinity Series for Richard Childress Racing, continued to climb in his career while his wife, Kenzie Ruston, saw her career stall. Ruston won a 2011 late model race at Indianapolis Raceway Park, where Hemric finished third and Chase Elliott finished fifth. Ruston competed in the NASCAR K&N East from 2013 to 2015, with seven top-5s (but no wins) in 44 starts. "Here we are, we're both younger trying to make it in this sport and there are only so many spots -- so we both took every opportunity, we tried to make the most of it," Hemric said. "At the end of the day, we both are firm believers in timing and faith and however it's all going to work out. For whatever reason, she had her shots and it just didn't pan out. We knew the odds were against us to both make it to this level and do it in a competitive spirit. She knows that for whatever reason, it wasn't meant to be."